It has been written somewhere that if you treat a man as he is he will remain as he is but if you treat a man as he could be he will become as he should be. Justin you became as you should be. I pray for your department and your loved ones left here to mourn. God speed my brother!!! May God put his loving arms around your parents and give them the strenght to get through this terrible tradegy. Having been in law enforcement for thirty-nine years and having a son who is with GSP I know how uncertain life is for anyone tasks with the job of law enforcement. Rest in Peace Brother, God said blessed are the peace makers for their shall inherit the Kingdom of God. God Bless Officer Solluhub and his family, friends and fellow officers. What a tragic day for all of Anniston. You will not be forgotten. Ofc. Sollohub probably saved numerous lives during his two years as a police officer than several others by graciously donating his organs. He is a TRUE HERO! He and his loved ones are in our thoughts and prayers! Officer Sollohub thank you for your service. May God bless you and your family. Rest in peace. You will not be forgotten! Sorry to hear about the loss of another GREAT officer.Our prayers go out to his Family and Friends and his Dept. for there loss. As GOD would say JOB WELL DO MY SON! RIP Officer Justin Sollohub for you shall never feel no more pain. I met Justin at JSU, we had a lot of classes together and I lived next to him at Indian Springs Apartments in Jacksonville. He was a great guy, funny, and always having a good time at whatever he was doing. I went through the police academy at NEALEA with our mutual friend Jeff Hamrick. 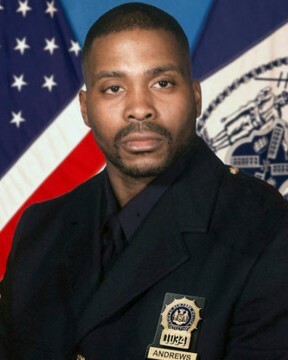 He was a rare breed, I hate to loose not only a brother of law enforcement but a friend! My thoughts and prayers are with Officer Justin Sollohub, his family and the members of the Anniston Police Department. To Officer Justin Sollohub family, coworkers and friends. I am so very sorry to hear of this tragic news. May Justin rest in peace. JOB WELL DONE Sir. Thoughts, love and prayers are on their way from Nevada City, CA. Officer Sollohub, THANK YOU. Thank you for your selfless sacrifice, and for the opportunity for someone else to have a second chance at life. You are a true hero. R.I.P. Thank you for your service and sacrifice. My condolences to your family, friends and coworkers of the Anniston Police Department. May you rest in peace.